Environment Canada has issued warnings for many regions of B.C., prompting municipalities to open more shelter spaces as temperatures dip to –40 C in some northern and Interior communities. It's officially c-c-cold in B.C. 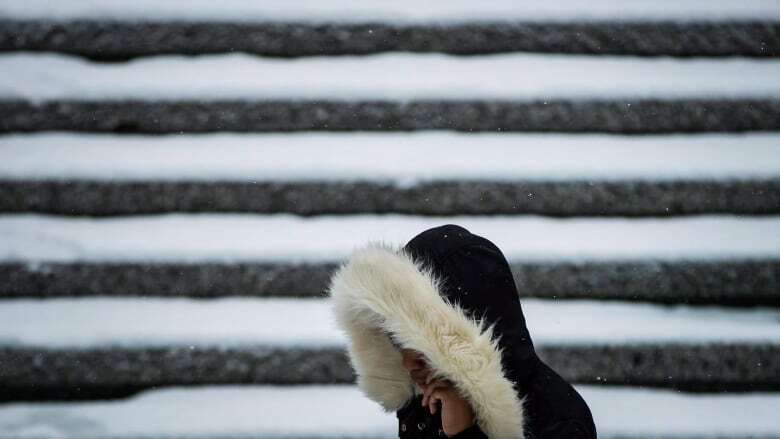 The coldest temperatures of the season have struck the province, knocking out power and prompting Environment Canada to issue extreme cold and snowfall warnings. According to the weather agency, temperatures could dip to –40 C overnight in multiple communities in the Interior — including 100 Mile House, the Peace River Regional District, Quesnel and Williams Lake — as an arctic ridge settles over the region. Dan Moses, intake worker at the Cariboo Friendship Society's homeless shelter in Williams Lake, said staff are going to local parks and railroad bridges where homeless people are known to stay to offer them beds indoors. Moses said the shelter was near capacity Sunday afternoon but added no one will be turned away. In northern parts of the province, such as Dease Lake, the mercury could drop as low as –45 C.
"People should be careful when they go out," said Mike Gismondi, meteorologist with Environment Canada. "Make sure they're bundled up." As of 8 a.m. Monday morning, BC Hydro reported outages — mostly from fallen tree branches damaging power lines — affecting approximately 11,000 customers. The Lower Mainland and Sunshine Coast regions are most affected with problems in Abbotsford, Bowen Island, Burnaby Chilliwack, Harrison Hot Springs, Kent, Langley and Mission. Over 2,250 customers on Pender Island are also without power. Temperatures in Metro Vancouver and the South Coast are not as frigid, but are 5-10 C below the average for this time of year. The temperature with wind chill in Vancouver hit a low of –12 C Monday morning. The Fraser Valley, Howe Sound and Whistler are under arctic outflow weather warnings with "bitterly cold" conditions in the forecast. In Chilliwack, the temperature after windchill dipped to –20 C. Whistler was seeing –21 C.
Additional shelter spaces have opened across the Lower Mainland to help people get out of the cold. In Victoria, an extreme weather protocol has been activated. Under that program, the shelter capacity expands from 365 to 465 emergency shelter beds and mats. A list of available beds can be found here. Drivers are warned to use extreme caution on the roads, to have jumper cables in their vehicles and to watch out for snowplows on the roads. Not long after the snow began in Abbotsford, B.C., a multi-vehicle crash near the Whatcom Road exit closed westbound lanes on Highway 1 for several hours.